​Edwin Alfred Hervey Alderson, KCB, first commanding officer of the 1st Canadian Division (October 1914–September 1915) and of the Canadian Corps (September 1915–May 1916), army officer, author (born 8 April 1859 in Capel St Mary, England; died 14 December 1927 in Lowestoft, England). James Howden MacBrien, soldier, policeman (b at Port Perry, Ont 30 June 1878; d at Toronto 5 Mar 1938). 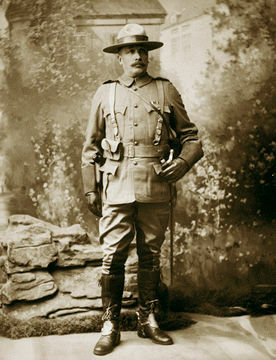 MacBrien served in the militia, the North-West Mounted Police and then the South African Constabulary 1901-06. John Edwards Leckie, "Jack," soldier, mining engineer, explorer (b at Acton-Vale, Qué 19 Feb 1872; d at Port Hope, Ont 7 Aug 1950). He was best known for engineering and research work around Hudson Bay. Leckie was educated at Bishop's, Royal Military College, and King's College. Sir Edward Thomas Henry Hutton, soldier (b at Torquay, Eng 6 Dec 1848; d at Chertsey, Eng 4 Aug 1923). 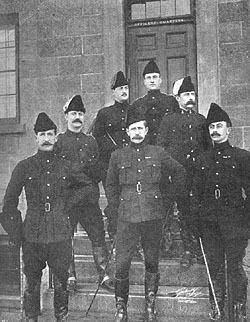 Hutton was general officer commanding the Dominion militia, 1898-1900, historically the most significant of the 8 British officers who held that appointment between 1880 and 1904. 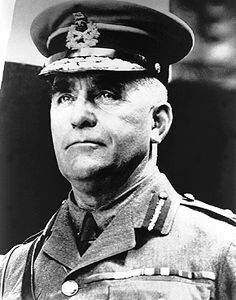 Sir Richard Ernest William Turner, KCMG, VC, DSO, businessman and soldier (b at Québec 25 July 1871; d there 19 June 1961). In 1891 he entered his family's wholesale grocery and lumber business.